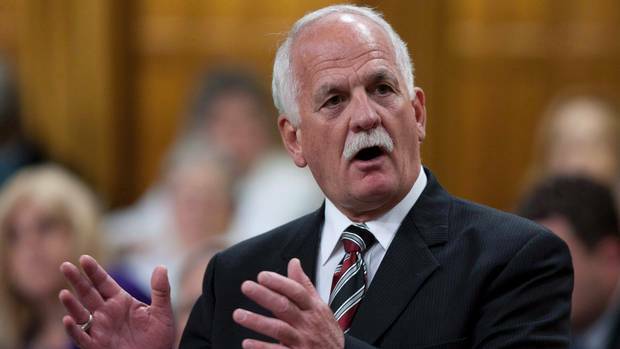 Public Safety Minister Vic Toews says he has no problem with the number of federal inmates sharing cells built for one. And even as he reiterated his commitment to building 2,700 new cells in existing prison facilities, he said those additional units aren’t meant to alleviate the pressures caused by double-bunking – because there’s no need. Mr. Toews used a Winnipeg press conference Wednesday to underscore that the increase in inmate population isn’t nearly as high as Corrections Canada projected. The Tackling Violence Crime and Truth in Sentencing acts were expected to result in 3,600 more inmates into the penal system by March of 2013; increases so far are closer to one-third that. That, Mr. Toews said, means he was right to resist calls from the head of Corrections Canada in 2010 to spend $2-billion on new prison facilites. But critics argue federal institutions have yet to feel the full impact of the Tories’ tough-on-crime legislation: Bill C-10, for example, just came into effect last month. Federal prisons are more crowded than they have been in years. The percentage of inmates sharing cells built for one has more than tripled since 2004. Incidents of prison violence have also risen. More than 2,600 federal inmates, about 18.5 per cent of the prison population, are double-bunked. That’s a 300-person increase since March, said Correctional Investigator Howard Sapers. Corrections Canada policy states that “single occupancy accommodation is the most desirable and correctionally appropriate method of housing offenders.” A 2010 directive states that while double-bunking is still seen as “inappropriate as a permanent accommodation,” population pressures will force Corrections Canada to do it more often. The union representing Canada’s correctional workers has complained its members feel unsafe on the job in prisons where as many as 85 per cent of inmates share a cell built for one. Crowding makes for restive, tense and often violent inmates, they argue. In some cases, resources such as gyms and visiting rooms have been used as sleeping areas. Incidents of assault – on inmates, staff or visitors – have gone up 36 per cent in four years. Kim Pate, executive director of the Elizabeth Fry Society’s national arm, was surprised to hear Mr. Toews’s views on double-bunking, given that Canada’s a signatory to the UN’s Standard Minimum Rules for the Treatment of Prisoners, which recommends against it. The Elizabeth Fry Society is considering legal action on double-bunking, especially in cases where female inmates with mental illnesses are sharing cells. The federal government is spending about $600-million to build 2,700 new cells in the next couple of years, all as part of expansions to existing prison facilities. After losing beds from closing Kingston Penitentiary and Leclerc Institution, that will make for a net of 1,700 new beds. A statement from the Public Safety department said the expansion is expected to suffice through 2019. It would take about 1,300 of those new units to alleviate today’s double-bunked inmates. But that isn’t the plan.